Ziah’s practice encompasses all areas of economic immigration through temporary and permanent residence applications in addition to Citizenship. She assists a broad array of clientele in the economic streams. She specializes in providing immigration planning strategies to large multinational organizations and corporations as well as the small and medium-size enterprise sector. She conducts informational presentations on immigration programs and has been invited to present across Canada and in the United States. Ziah is an active member of Canada’s legal and immigration communities. She has argued in Federal Court, the Immigration and Refugee Board of Canada, and stands as the Citizenship and Immigration Lead and Subject Matter Expert for the Settlement Portfolio of the Ismaili Council for Ontario and the National Settlement Portfolio of the Ismaili Council for Canada. 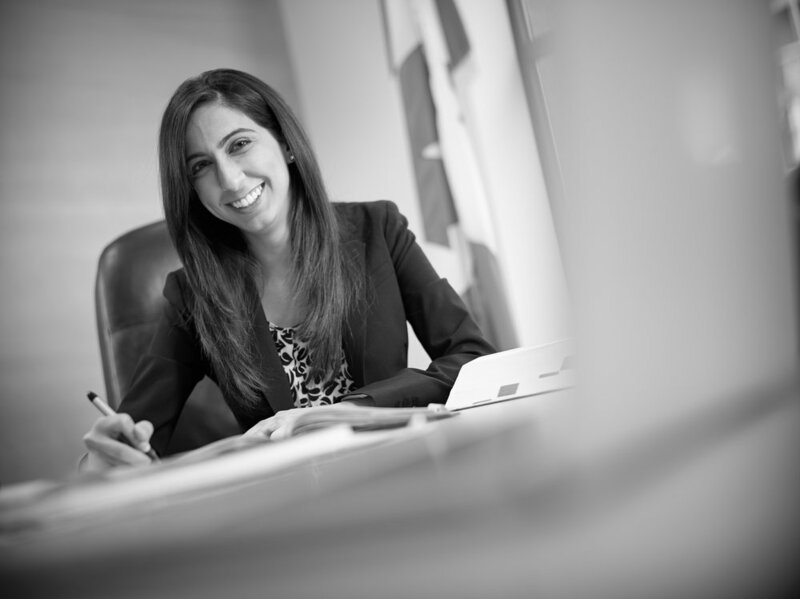 She is also an Executive Committee Member of the Citizenship and Immigration section of the Ontario Bar Association. Ziah has volunteered for the Organization for Refugee, Asylum & Migration in San Francisco and acted as the lead board member with the Regional Disaster Management Team for Focus Canada. She has also been Co-President of BELIEF (Becoming Educated Leaders Inspired by Exemplary Females), a platform where women can discuss issues in a safe and open environment. Ziah is on the list of volunteer lawyers with the Refugee Sponsorship Support Program, and is an Executive Committee Member of the Ontario Bar Association’s Immigration Section. Ziah received her Bachelor of Arts degree in Business Law with Highest Honours from Carleton University. She graduated with a Juris Doctor law degree from the University of Ottawa.